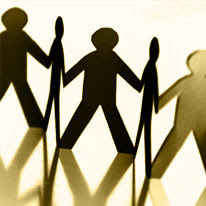 eCouragement: To whom can you be a stretcher friend? I wonder who first thought of it? When those four men, carrying their disabled friend on a stretcher, approached the place where crowds were tightly gathered around Jesus, who was the idea guy? Which one said, “If we are going to get close to Jesus, we will have to do something drastic! I know! Let’s break through the roof!"? I like friends like that! And their creativity was rewarded because the story goes on to say, When Jesus saw their faith, He said to the paralytic, "Son, your sins are forgiven." Mark 2:5. I think it is very interesting that the Bible tells us, When Jesus saw their faith… Now this may have included the paralyzed man’s faith, but it certainly was much broader than that. It was also the faith of his friends! There are times in our lives when we do not have a lot of faith. There are times when our faith is frail, times when we need others to trust the Lord for us. Think about those in your life to whom you can be a stretcher friend. You may feel like you cannot do much, but you can bring them to Jesus. There seems to be three levels of faith in this passage (Read Mark 2:1-12). First there are the “If there’s a seat” people. This is a mix of curious and even oppositional individuals. Then there are the “Peering through the door” folks. They represented a higher level of commitment. They are there on the periphery and willing to take a back seat. But then there are the “Through the roof” people, who eagerly seek a close encounter with Jesus. Perhaps there is person in your life that God is bringing to mind. God wants you to reach out enthusiastically. Are you willing to go "through the roof" to bring those you care about to Jesus?